Clearly, you never talked to a person of color about the Bush presidencies. The George Herbert Walker Bush funeral week was a difficult week for me. Like many black people, I did not want to Malcolm X myself. 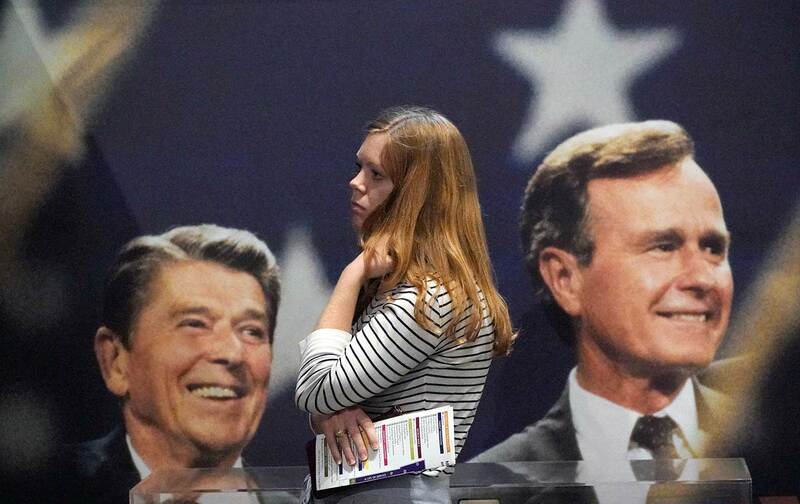 When Bush 41 passed, I wasn’t surprised by the whitewashing of his legacy. Instead, what struck me were the sweeping statements made by white people who, evidently, have never talked about the Bush family with a person of color. I do not think the least-common-denominator white person appreciates how stupid they sound when they unleash an opinion that garners negligible or nonexistent popular support from people of color. There are a lot of us nonwhites out here, and we don’t all think alike. How deep does your head have to go into your own navel to produce an opinion that impresses none of us? Since it’s 2018 and we’re living in the future, I don’t even have to guess any more at how myopically white your opinions are. They keep stats on this now. I no longer have to take the author’s word that they have a “black friend” who says they’re “one of the good ones.” I can hover over whatever plumb ignorant thing you said or shared on Facebook, or Twitter, or Instagram, and get a pretty good idea about the diversity of popularity generated by your thought bomb. When the diversity of your nonwhite support amounts to one world-renowned hip-hop artist tweeting from the Sunken Place, that’s evidence that your opinion is trash and tested only in the crucible of your own whiteness. It occurs me that many white people don’t think that there is anything particularly wrong with having an opinion that people of color find unlikable or detestable. That impulse comes from a tradition of white supremacy that tells you nonwhite opinions don’t matter as much as white ones. White Americans have never required the support of nonwhites to turn their thoughts into reality; they’ve only had to convince a majority of other white folks to go along with them for the ride. That’s why Ross Douthat, author of the aforementioned “Why We Miss the WASPs,” gets to exist. His op-ed nostalgically argues that the WASP’s sense of “noblesse oblige” and statesmanship of restraint is the critical element missing from the current ruling class of predominantly white men. Yes, someone actually used “noblesse oblige,” positively, in 2018, in The New York Times, and wasn’t quoting a Faulkner story. Douthat is so used to living in a world where only the opinions of other whites matter, the main concern of his piece is over what qualities white men should have as they rule over the rest of us. Douthat makes mild protestations that the lack of diversity among the forlorn WASPs was a problem with their reign. But he gets around this (entirely fatal) flaw in his argument by granting the possibility of “WASP qualities” to nonwhites. What he’s trying to do is retcon the “white” out of his love for (wait for it) “White Anglo-Saxon Protestants,” by telling nonwhites that they can be part of the club if they act white too. It’s a sleight of hand that fools functionally zero nonwhite readers. Michael Harriot of The Root absolutely dunked on Douthat. 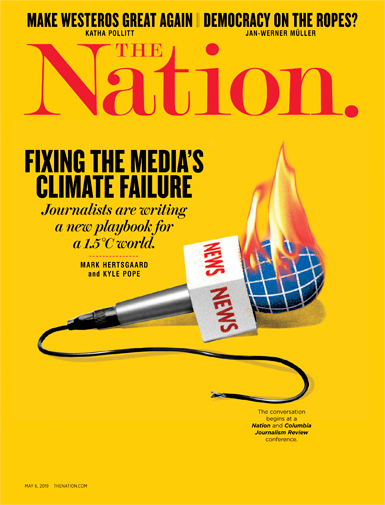 NewsOne Now’s Roland Martin punted Douthat into the sun. Fareed Zakaria tried to reform Douthat’s piece into something slightly less stupid-sounding, and since he’s brown that’s as close as Douthat has come to nonwhite support for his thesis. If you do not know who these brothers are, you need to stop being like Ross and start being a person who follows a few nonwhite sources. My social-media feeds are full of white men like Douthat. White guys who presume to tell me the “best” or most “appropriate” ways to convince white people to treat me like a full human, as if treating me with fundamental equality and dignity needs to be their idea in the first place. Douthat’s rejoinder, published a few days later, shows, again, a disregard for the very diversity of experience that his original column so manifestly lacked. He writes: “Diversity, despite what many liberals want to think, does not provide a solution to this problem. A diverse elite may be good in its own right, as a matter of justice and representation. But nothing about being a woman or a minority makes you immune to meritocracy’s ruthless solipsism.” Got it? Listening to people from nonwhite traditions doesn’t matter because, if they succeed, they’ll just act like white people, says the white guy who wants everybody to act like WASPs if they are to rule. To paraphrase that avatar of American whiteness, Jeff Foxworthy: If you come up with a racial-inclusion strategy that is unsupported by any of the races who demand inclusion, you might be a redneck. Minorities rarely make the same mistake of myopic hubris when publishing their opinions. I certainly don’t. Again, I read about what happened to brother Malcolm and I don’t have his kind of strength. I make sure that I vet my opinions through at least some nonblack people. Safety first! It’s not like I roll out in public with thoughts that zero white people agree with. I probably couldn’t write anything as racially self-regarding as Douthat, even if I wanted to, and I certainly couldn’t get such a piece published. I’m a black man in America; nostalgic opinions that I have that zero white people agree with are called “crimes” up in this mess.